Catcher Josh Phegley, the 1,000th Cape Cod Baseball League player to make it to the major leagues, was optioned to Triple-A Charlotte on Wednesday by the Chicago White Sox. Phegley (Wareham, 2007) was hitting .261 with four doubles in 12 spring training games after compiling a .206 batting average in 65 MLB games since breaking in with the ChiSox on July 5, 2013. His departure from the big league camp leaves Rule 5 draft pick Adrian Nieto and 2013 opening day backup Hector Gimenez to battle it out for the backup role behind starting receiver Tyler Flowers. 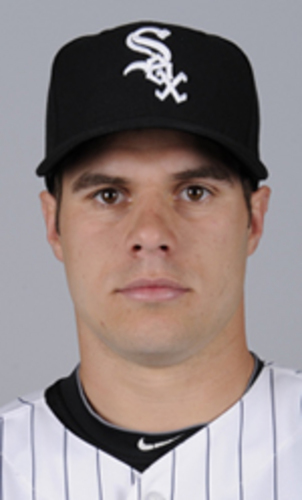 Also optioned to Charlotte was left-handed pitcher Eric Surkamp (Orleans, 2006/07). The pair were among six players moved from the White Sox’s major league camp Wednesday. CHISOX CHATTER: Trade rumors are swirling around second baseman Gordon Beckham (Yarmouth-Dennis, 2007). Reportedly, the New York Yankees are interested in acquiring Beckham as additional infield depth and a capable backup to newly acquired second baseman Brian Roberts (Chatham, 1998). Roberts has been plagued by injuries in recent years and whether he can play every day is questionable. Beckham is currently nursing a strained left oblique suffered during batting practice last Friday. He is expected to resume some baseball activities this weekend. Manager Robin Ventura (Hyannis, 1987) is pleased with the progress shown by minor league second baseman Micah Johnson (Cotuit, 2011). Ventura explained that Johnson wasn’t invited to the big league camp to compete for a spot on the MLB roster, but rather to enable him to work on his game in a big league setting. His presence in camp as a non-roster invitee follows a productive minor league season that ended in Double-A Birmingham, where he helped spark the Barons’ Southern League championship run. He also participated in the Arizona Fall League. The likeable youngster led all of minor league baseball in 2013 with 84 stolen bases while batting .312 and scoring 106 runs. But he committed 29 errors at Class A Kannapolis and Winston-Salem. After 17 spring training games, Johnson was batting .333 with four RBIs and had been successful on two of three stolen base attempts. Ventura noted that there has been a noticeable improvement in Johnson’s play in the field this spring. Another White Sox second base prospect, 2012 third-round draft pick Joey DeMichele (Hyannis, 2011) has more than a passing interest in this weekend’s MLB opening series between the Los Angeles Dodgers and Arizona Diamondbacks in Sydney, Australia. DeMichele, son of CCBL Hall of Famer Dan DeMichele (class of 2012) was one of two White Sox farmhands who played in the Australian Baseball League this winter.